The wave stud is made in 14k & 18k gold. The diamond earrings from the Contemporary collection is created by the finest of craftsmen. 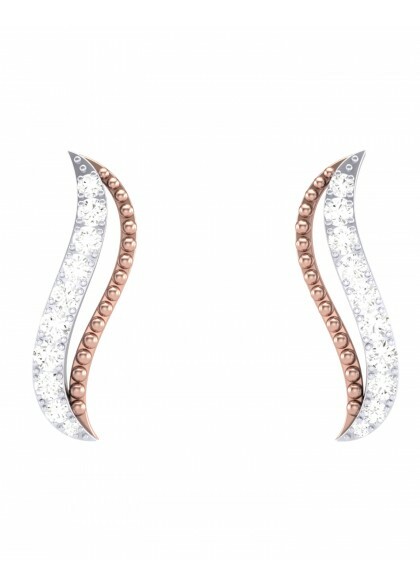 The designer earrings made with gold and diamonds are perfect for desk to dinner wear. The orbiting studs made in 14k & 18k gold. 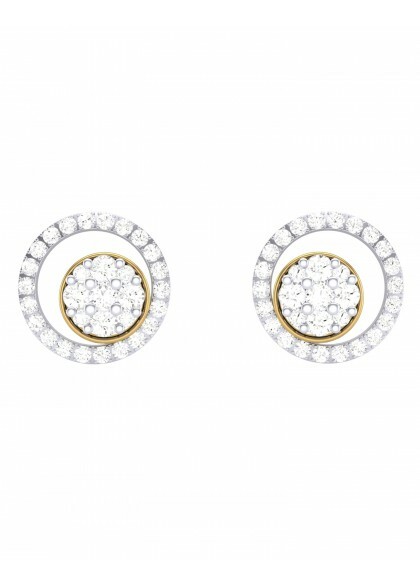 The diamond studs from the Candera Collecrion is created by the finest of craftsmen. The designer studs made with gold and diamonds are the perfect bling to your party attire. 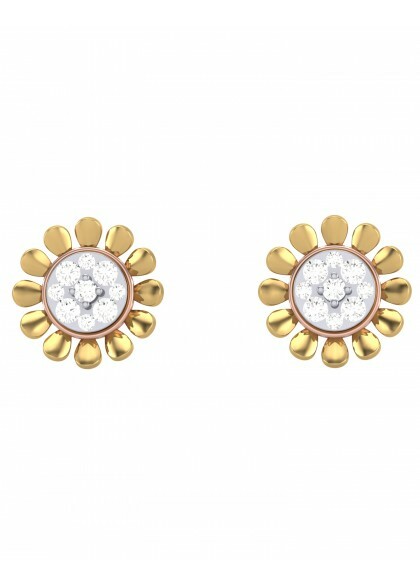 The delicate daisy studs are made in 14k & 18k gold. The diamond studs from the candera collection is created by the finest of craftsmen. The designer studs made with gold and diamonds are perfect for party wear. 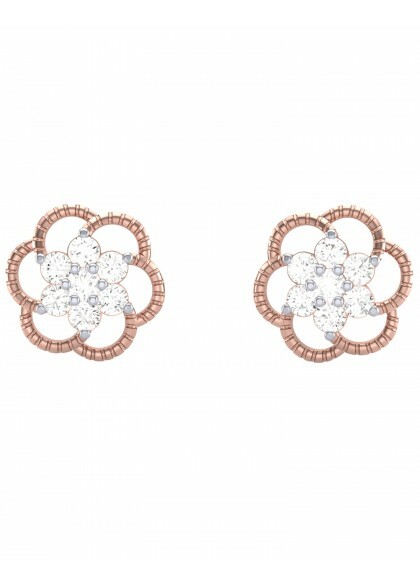 The beautiful flower earrings are made in 14k & 18k gold. The diamond earrings from the Candera collection is created by the finest of craftsmen. 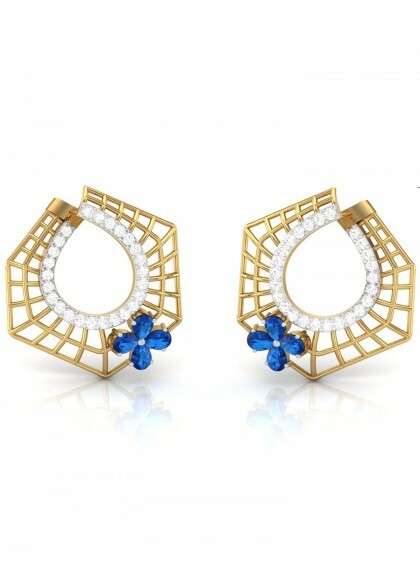 The designer earrings made in gold and diamonds is suitable for daily wear and smart casuals. You can wear this on western as well as Indian attire. 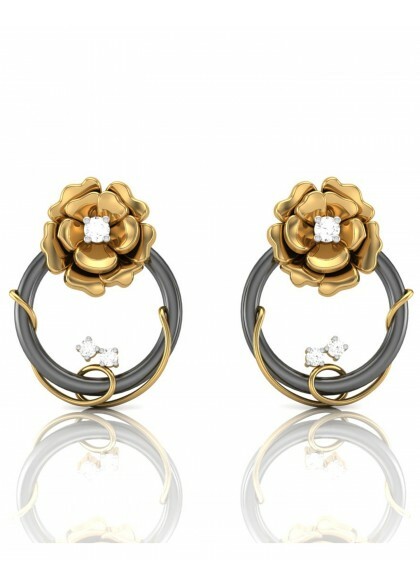 The earrings are made from 14kt & 18kt yellow gold, diamonds and black enamel resembles the Christmas Wreath ring. The Handmade earrings from the Floral collection are made by the finest artists. 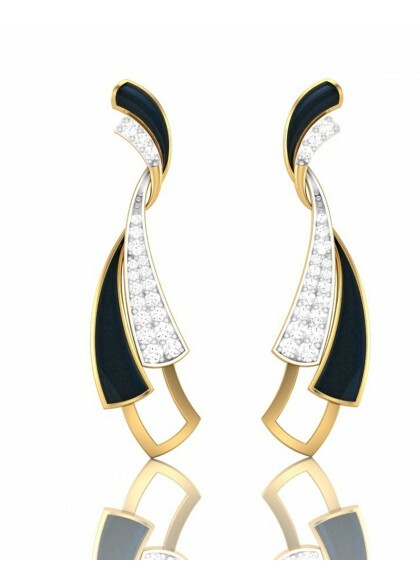 The diamond earrings made in pure yellow gold ,diamonds with a black enamel will glam up your style quotient. 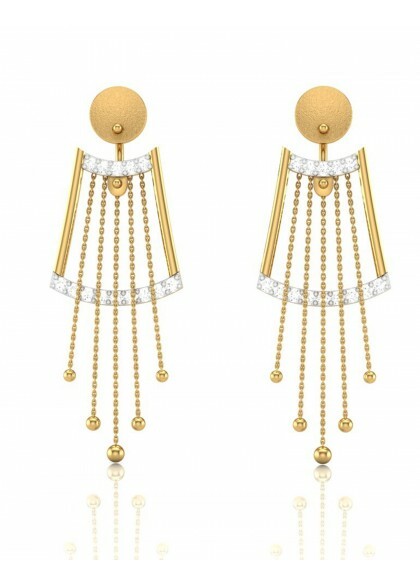 These earrings are made from 14kt & 18kt yellow gold, diamonds and sapphires. The Handmade earrings from the Gemstone collection are made by the finest artists. 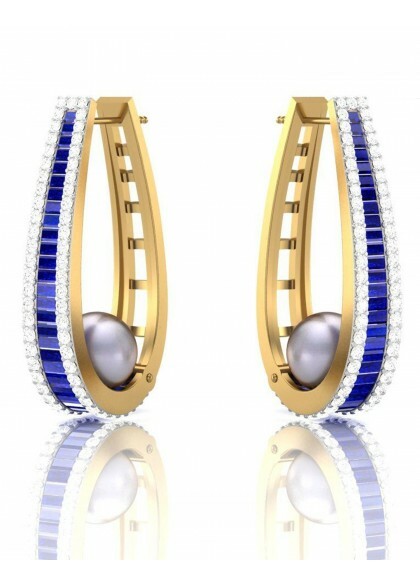 The earrings made in pure yellow gold, diamonds, pearl and blue sapphires are perfect companion to your party attire. Wear it with a gown or a dress and you are ready to step out in Style! 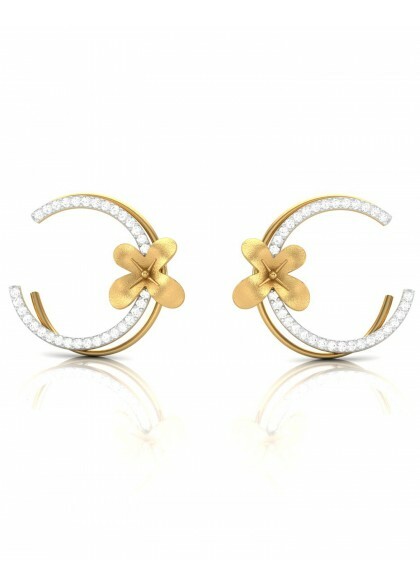 These earrings are made from 14 kt & 18kt gold, in the shape of a floral band. Handmade earrings from the Floral collection are made by the finest artists. 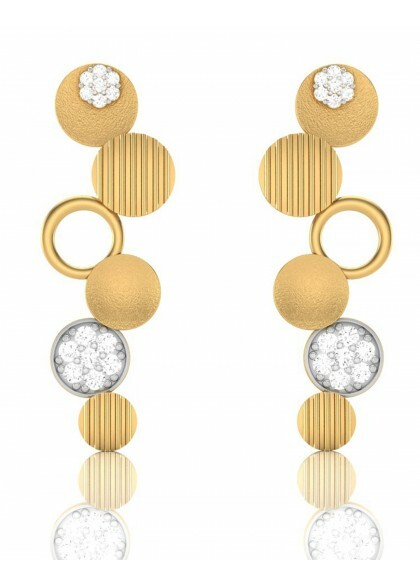 The Diamond earrings made in pure yellow gold and diamonds will beautify your work wear as well as casual wear. It is perfect for your desk to dinner date. The diamond pendant is made of 18kt & 14kt yellow gold and is studded with diamonds. Handmade diamond pendant from the Evergreen Collection is made by the finest craftsmen. 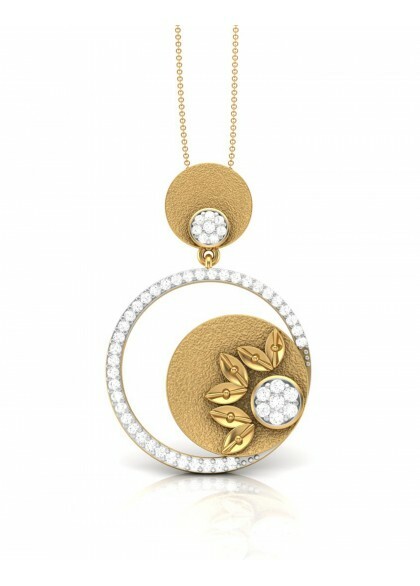 The pendant is a combination of gold and diamonds. The diamond pendant is perfect for you dinners party and even office wears.